Learn to read with this funny rhyming story starring a big orange tabby cat! 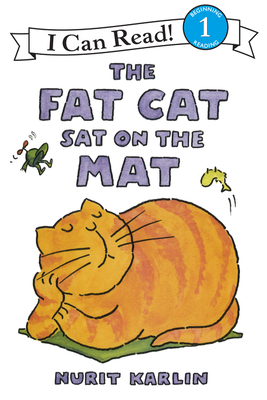 The fat cat sat on the mat. "Get off!" said the rat. But the fat cat just sat. Will the rat get the fat cat off the mat? This funny, phonetic Level One I Can Read is perfect for kids learning to sound out words and sentences. Nurit Karlin is the author of another I Can Read Book, The Fat Cat Sat on the Mat, as well as Little Big Mouse, The Dream Factory, and the Tooth Witch. She lives in New York City.